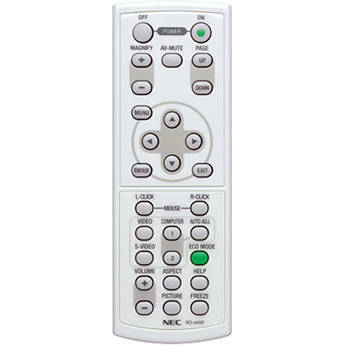 The NEC RMT-PJ29 Replacement Remote Control is a replacement for the remote shipped with NEC NP310/NP410/NP410W/NP510/NP510W projectors. The IR remote controls audio, video, menu and mouse functions of the above projectors. Box Dimensions (LxWxH) 9.7 x 4.3 x 4.3"